Google has finally announce the long-rumored Nexus tablet at Google I/O. It looks pretty neat, has reasonably good specs and an excellent starting price. We’ve got everything you need to know right after the jump! The news comes straight from the Google I/O keynote in which they discuss what the tablet means for Google and ASUS, developers and consumers and, of course, the tablet’s specifications, pricing and availability. Let’s talk about the specifications first. In line with previous rumors, the tablet features a 7-inch display with a not-so-surprising HD resolution of 1280×800. It uses IPS display technology which is just geek-speak for “great colors” and “wide viewing angles” but, because of its resolution, not necessarily the greatest sharpness (that award goes to the new iPad with its 2048×1536 display). 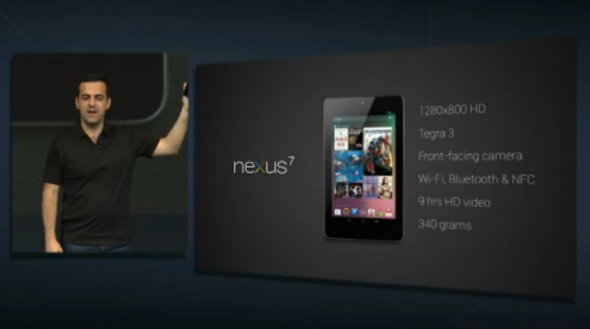 The tablet will be powered by a quad-core NVIDIA Tegra 3 chip clocked in at 1.3GHz. Graphics will be handled with a 12-core GeForce GPU. Rounding it all up, the Nexus 7 tablet will come with a now-standard 1GB RAM. All of this adds up to a smooth-as-butter performance in both everyday apps and the latest video games. In another step to reduce manufacturing costs, Google has decided to not include a rear-facing camera unlike most tablets. There will be only a 1.2 megapixel front-facing camera suitable for video chatting. Connectivity options include the usual Bluetooth and Wi-Fi. Continuing the trend of including NFC chips, you will be able to use services like Google Wallet and Android Beam on the Nexus 7. As expected, the tablet will be based on Android 4.1 Jelly Bean. We’ve discussed Jelly Bean’s key features – significantly smoother user-interface, better notifications, offline-voice typing and improved voice commands – in a separate post here. It’s also worth noting that Google has made a rather interesting move by not just announcing the tablet itself, but modifying their native apps for a richer experience on the Nexus 7 tablet. The two apps which have gotten the slight makeover are; YouTube and Maps. They are now both optimized to take full advantage of Nexus 7’s HD display, and are bound to make your content pop out of the screen, not literally, though. 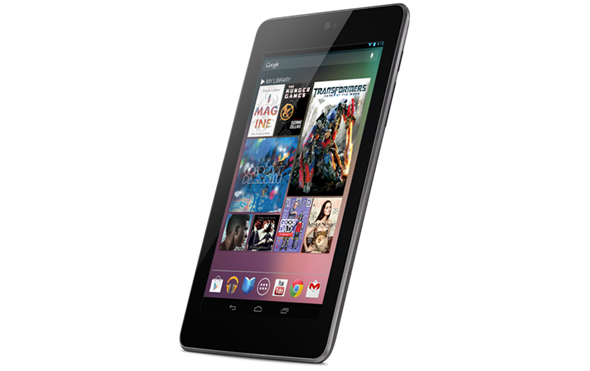 Undoubtedly the most important aspect of the Nexus 7 tablet, the one thing that set its apart from other tablets – both Android and others – is its price. For an unbeatable price of $199, you’re getting a full blown Android tablet (unlike the Kindle Fire) with the most commonly used features. This is a device that I will definitely consider before I get my first tablet – it’s either going to be a new iPad or the Nexus 7. 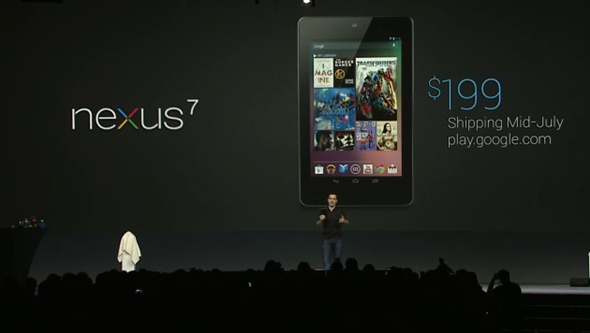 Nexus 7 can be ordered right now from the Google Play Store for $199 for 8GB model and $249 for 16GB model. You can choose between two colors, black and white. It will come with $25 Google Play credit, Transformers: Dark of the Moon, The Bourne Dominion and include subscriptions to magazines like Popular Science and others. 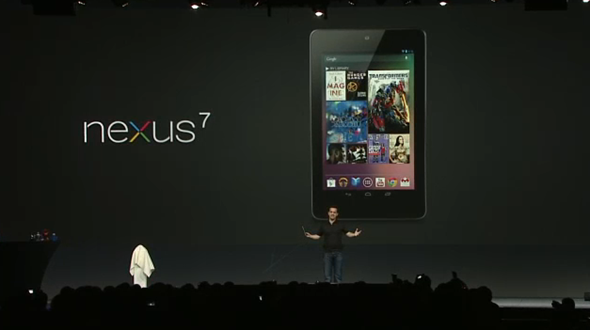 Nexus 7 will be initially available in the US, UK, Canada and Australia. Shipping will begin mid-July.